CANBERRA, -- Dutch heavy lift company BigLift Shipping has shared photos of one of its vessels loading three former Royal Australian Navy, Balikpapan class, heavy landing craft bound for the Philippines. 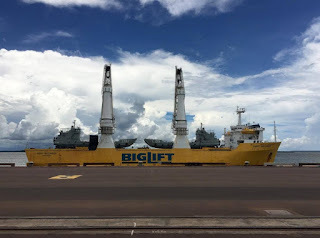 The company said that two vessels were loaded in Darwin and one in Cairns. 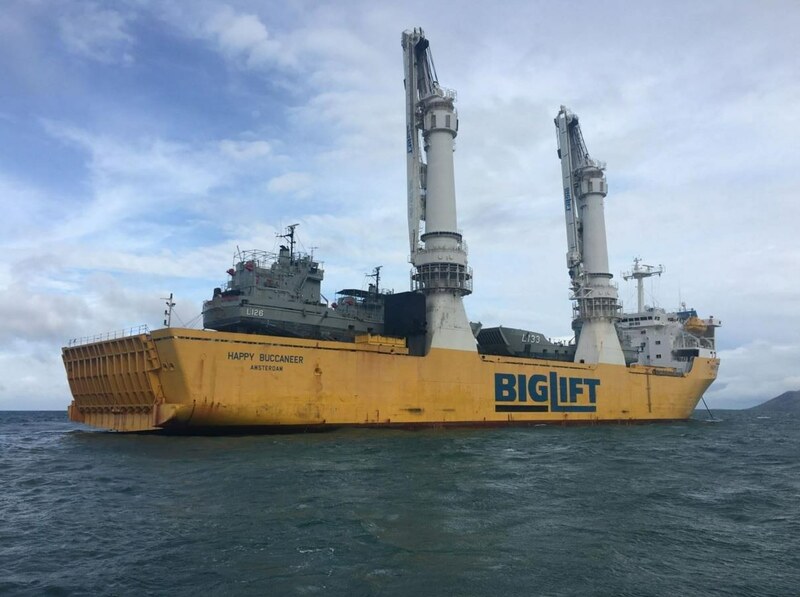 All three were offloaded in Cebu, Philippines. The three vessels, HMAS Balikpapan, HMAS Wewak and HMAS Betano, were retired by Australia in December 2012 while the remaining three ships of the class Brunei, Labuan and Tarakan were decommissioned in November 2014. IHS Janes’s on October 27, 2015 reported that the Philippine and Australian governments were finalizing the sale of the three ships. Financial aspects of the acquisition were not disclosed at that time. 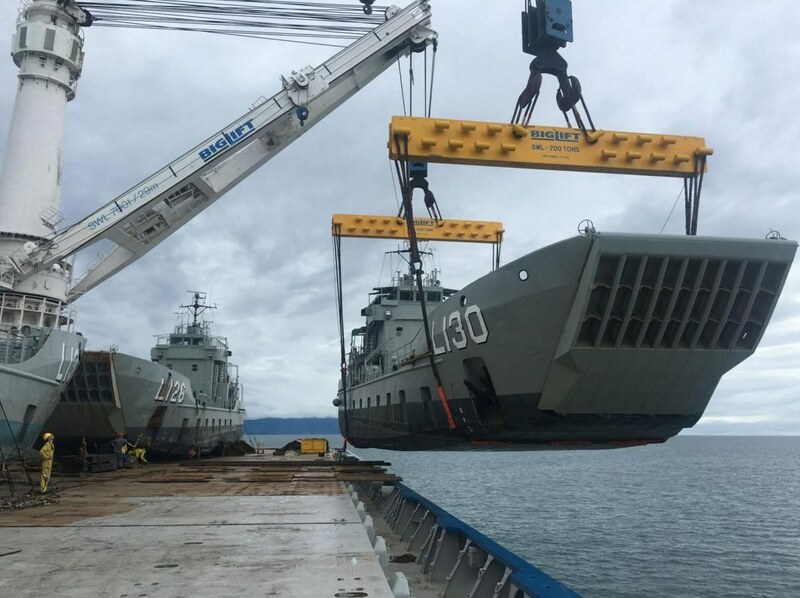 Australia previously gifted two landing craft to the Philippine Navy. 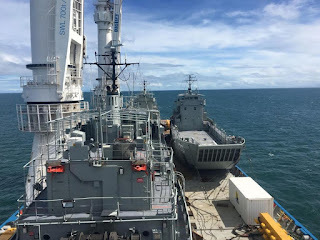 Ex-HMA Ships Tarakan and Brunei, were re commissioned into the Republic of Philippines Navy as BRP Ivatan (AT298) and BRP Batak (AT299). Three former #Australian Navy, Balikpapan classheavy landing crafts bound for the Philippines.